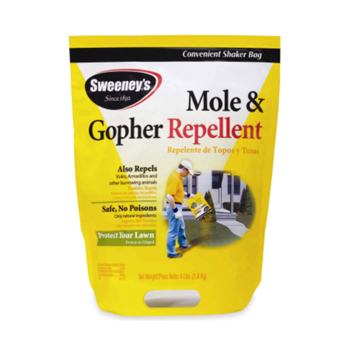 Repellent Shaker Bag -Repel moles, gophers, voles and armadillos from you lawn. Packaged in a convenient easy-to-use Repellent Shaker Bag, no spreader is required; treat your lawn without handling the product. Made with castor oil and fuller’s earth, repellent is safe to use on lawns and gardens as well as around pets.